Auto Care Association President Bill Harvey at an association Leadership event. The Auto Care Association issued a statement this week from President and CEO Bill Hanvey, urging the Trump Administration to keep the U.S.-Mexico border open in the name of trade. Hanvey noted that more than $55 billion auto parts were imported from Mexico in 2018, with another $30 billion in auto parts shipped to the country from the U.S. annually. “The Auto Care Association urges the Trump Administration to keep the border between the United States and Mexico open for business,” said Bill Hanvey, president and CEO of the Auto Care Association. “The majority of auto parts imported into the United States come from Mexico, with over $55 billion imported in 2017. And, with over $30 billion of auto parts shipped annually to Mexico, thousands of American manufacturing jobs, which the president has made a prime focus, are in jeopardy from this potential action. Mexico manufactures a whole range of auto parts including engines, electronic systems, steering and suspension systems, transmissions and interior components. Even a temporary halt to this critical flow of trade between countries will have an impact on both the domestic auto care industry, which employs 4.6 million people nationwide, and on the safe operation of the 280.6 million cars and trucks on the road today. 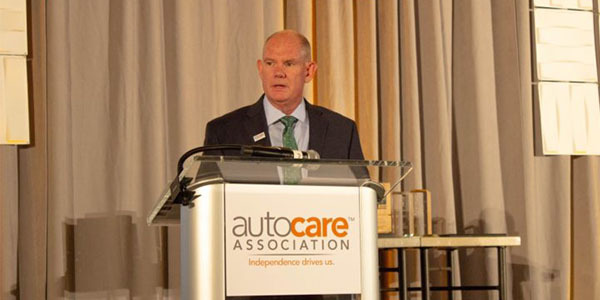 “The Auto Care Association urges the president to do what is best for American vehicle owners, and the more than 536,000 domestic businesses that comprise the auto care industry and to keep the border open,” Hanvey said.